One of the worst oil-related disasters in history occurred when Texaco, later purchased by oil giant Chevron, deliberately dumped 18 billion gallons of toxic waste into the Ecuadorian Amazon over the course of decades. 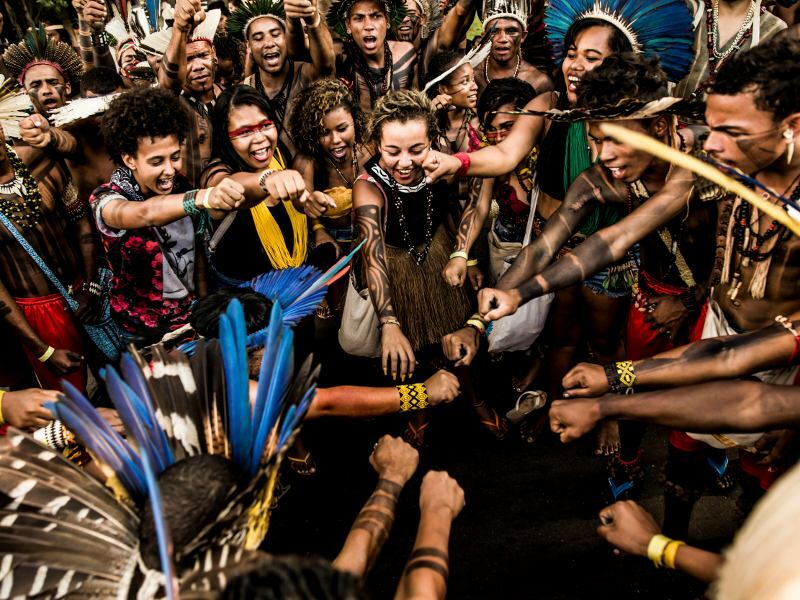 The resulting health crisis in the rainforest home of 30,000 Amazonian inhabitants continues to this day. A $40 million deal with the government of Ecuador in 1995 resulted in a sham remediation, after which Texaco publicly washed its hands of the affair. Not satisfied with such an egregious lack of justice, the affected communities have continued to demand accountability, taking their case all the way to the Ecuadorian Supreme Court, and winning: in 2011 an Ecuadorian judge found Chevron liable for $9.5 billion in damages, a ruling upheld by the Supreme Court. Instead of doing the right thing, however, Chevron took its assets and fled from Ecuador, and continues to use its corporate might to avoid accountability. Nonetheless, the communities and their allies around the world haven't given up the quest for justice. 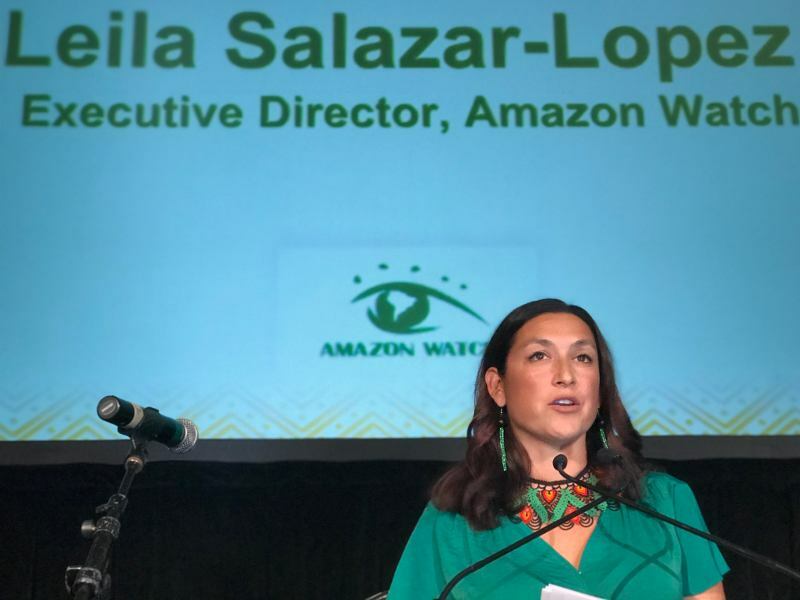 Amazon Watch spent four days last week in a courthouse in Toronto to witness the latest, and hopefully last, chapter in this epic quest for justice. When Chevron fled Ecuador after the $9.5 billion judgement against it, the affected communities turned to the courts in Brazil, Argentina and Canada to hold the company accountable, seeking summary judgments allowing the seizure of the assets of Chevron subsidiaries in order to pay for the Ecuador judgement. Backed by a unanimous 2015 decision from Canada's Supreme Court giving a green light for the Ecuadorians to sue Chevron in Canada, last week's trial is an important step in the quest for justice. The principal issue before the court was whether to grant the Ecuadorian's request for access to Chevron Canada's assets to cover the $9.5 billion judgement, versus Chevron's defense motion to summarily dismiss the entire claim. The Ecuadorians base their plea on the massive evidence of contamination in Ecuador and a $9.5 billion verdict issued in Ecuador and upheld by its highest court. Chevron claims the verdict itself is fraudulent, basing this claim on the fact that it managed to win a retaliatory RICO (racketeering) lawsuit in the US by alleging bribery, corruption, and a "ghostwritten" judgment by the Ecuadorian court. Also at issue is what lawyers call "piercing the corporate veil" of hidden parent-subsidiary relationships in order to hold Chevron Canada – a wholly owned subsidiary of Chevron Corp. – liable for the actions and its parent company. 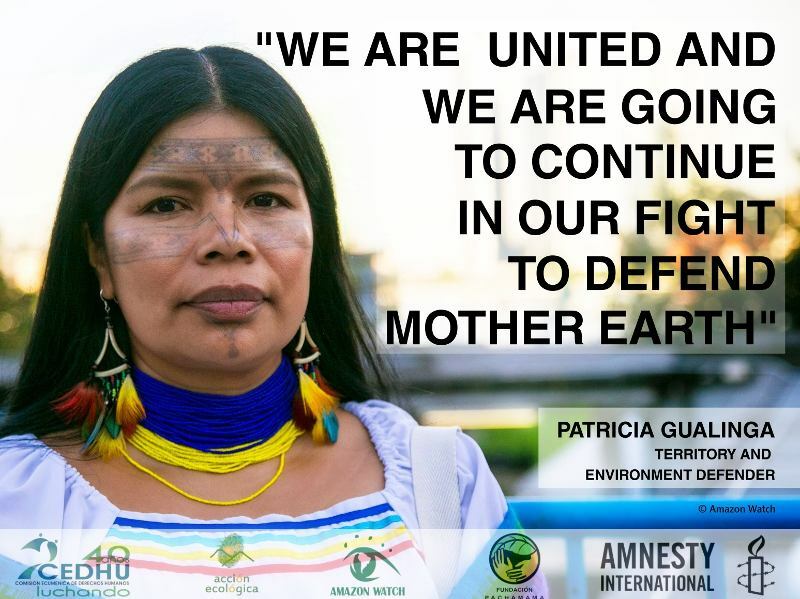 The Ecuadorians assert that their action doesn't really hold Chevron Canada responsible, it simply seeks to hold Chevron accountable by seizing assets it controls in Canada through what is actually nothing more than a holding company. 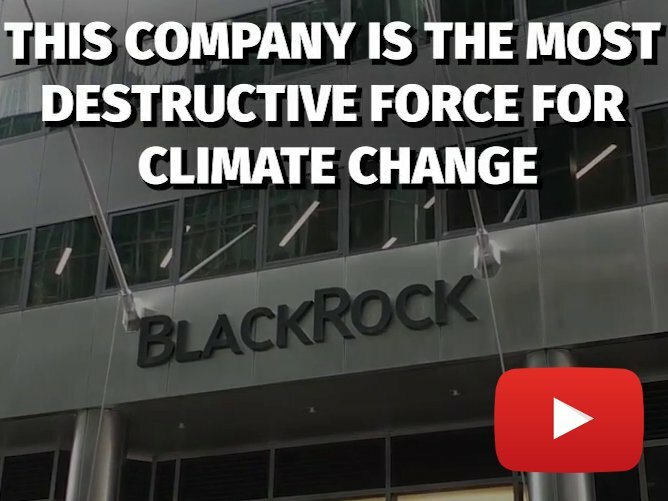 This is an important issue for corporate accountability advocates everywhere, because corporations around the world attempt to hide behind the corporate veil. Therefore, Ontario Superior Court Judge Glenn Hainey will have to decide whether to grant a summary judgement in favor of either the Ecuadorians or Chevron, or to send the case to trial to examine in depth the claims made by both sides. This last option was welcomed by the lawyer for the Ecuadorians, Alan Lenczner, who encouraged Judge Hainey to give him the opportunity to demonstrate the falsehood of Chevron's claims of bribery and a ghostwritten judgement in Ecuador, and the resulting invalidity of the US RICO decision. Lenczner's offer provoked quite a reaction from Chevron's legal team in the courtroom (over a dozen US and Canadian lawyers), but he persisted. "That's the issue and what should be tried here. If they're right and have confidence in that, then they can show you and... well then, we lose," Lenczner continued emphatically. "We should have a trial on the ghostwriting! Here's how a trial would go. I will stand up and file a judgment which will be valid until you [the judge] set it aside. Chevron will then bring on their defense and call Guerra [Chevron's “witness” to the alleged bribery]... They won't call Guerra, they're afraid to," concluded Lenczner. By doing so he called their bluff; Chevron's RICO verdict is predicated on the testimony of a corrupt witness, who has since admitted he lied in exchange for over $2 million from Chevron. To explain the details of this sordid tale and just how Chevron has apparently backed itself into a seemingly impossible corner, we must return to the beginning of the story and detail more about Chevron's efforts to escape justice at all costs. While Texaco long since admitted to dumping the toxic waste as a cost-saving measure, and is therefore responsible (as the sole operator) for the contamination, Chevron, since its purchase of Texaco, has itself dumped billions of dollars into fighting to avoid a full cleanup, even while knowing full well it could never win the case based on the merits. The number of legal hoops that Chevron has jumped through to avoid accountability are impressive. When the communities brought their first claim against Texaco, in New York, Texaco spent a decade arguing that Ecuador was the proper venue for the case. It eventually won that argument, but then on the first day of the trial in Ecuador objected to the entire case and claimed it shouldn't be there either. It proceeded to drag out this second trial another eight years and used every dirty trick in the book to throw wrenches in the wheel of justice. As the case was finally coming to an end in Ecuador, leaked internal memos revealed Chevron's plan to vilify the Ecuadorians, their lawyers and the entire Ecuadorian judicial system, as an attempt to invalidate in the court of public opinion any judgement that would be issued against it. Sparing no expense, the company waged a scorched earth legal strategy and hit pay-dirt when US Federal Judge Lewis Kaplan suggested Chevron file a RICO (racketeering) suit in the US; Kaplan made his suggestion based primarily off doctored outtake clips from the documentary Crude. Kaplan's court was exactly what Chevron desperately needed – a friendly judge thousands of miles away from the actual events in the Amazon who didn't read Spanish and expressed public disdain for the Ecuadorians before his trial even began. Most importantly for Chevron, Kaplan would not even allow the word "contamination" in his courtroom, let alone evidence of the actual crime of Chevron's toxic waste. Further, Kaplan's willingness to grant any request of Chevron's lawyers at Gibson Dunn & Crutcher meant the widespread issuing of subpoenas of a long list of "non party co-conspirators" – a tactic to intimidate and harass anyone critical of Chevron in support of the Ecuadorians (including Amazon Watch). The underlying claims made by Chevron are that the Ecuadorian verdict was obtained by fraud committed by the Ecuadorian and US legal team led by Steven Donziger. Chevron claims that Ecuadorian Judge Alberto Guerra was offered a $500,000 bribe by the Ecuadorian's lawyers to ghostwrite the $9.5 billion judgment and give it to the presiding judge Nicolas Zambrano. The truth is none of that actually happened. In a mockery of justice, Judge Lewis Kaplan accepted the testimony of Guerra, even though it came to light during the trial that Guerra received millions of dollars from Chevron to testify and had been coached for 57 days before the trial. Guerra himself had already lost his position as a judge because he had admitted to taking at least 20 bribes in other cases, some for as low as $200. Kaplan even acknowledged that Guerra was not a very credible witness, but decided to believe him in this instance. This despite the fact that Guerra was unable to produce the evidence he claimed he had of the verdict he supposedly wrote for Zambrano, and that the details his story changed several times during his testimony. Few people know that the way Chevron found out that Guerra was corrupt in the first place was because, as he admitted during the RICO trial, he approached Chevron looking for a bribe. Chevron claims it turned him down, but curiously it didn't report the incident to anyone. Ultimately, Guerra should never have been permitted to take the stand, but Kaplan allowed it. After a trial called a "Dickensian farce" by noted California Attorney John Keker, Kaplan issued a 500-page verdict and blasted the Ecuadorians and their lawyers. 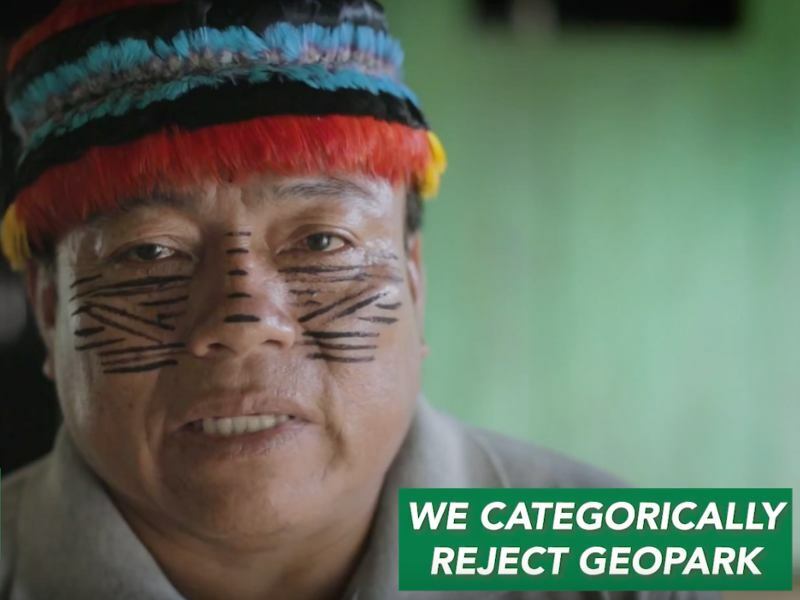 He never claimed that Chevron was innocent of the environmental crimes in the Amazon, but he declared that the Ecuadorian judgment was unenforceable in the U.S. The Second Circuit Appeals Court inexplicably held up Kaplan's verdict a few months ago. And while the Ecuadorians' appeal to the Second Circuit was based on Chevron's misuse of the RICO statute and their lawyer Donziger vehemently contested the "facts" of Kaplan's ruling, Chevron's PR spin machine often succeeds in getting the mainstream media to not report on the facts of the case but only on the allegations of fraud. Nor has the media reported widely that Kaplan's RICO verdict offers no legal remedy for Chevron since no one has sought to enforce the case in the U.S. Nonetheless, things were looking bright for Chevron, even knowing that the Ecuadorian's lawyers will likely appeal Second Circuit decision. But soon, Chevron's strategy of legal shell games and forum shopping began to backfire. At the same time as the RICO case, Chevron filed a case against the government of Ecuador at the Hague under a bilateral trade agreement. A panel of three judges were tasked with determining if Ecuador had offered Chevron adequate legal protection. A ruling in Chevron's favor could essentially end up forcing the government of Ecuador, and thus its taxpayers, to foot the bill for the cleanup. While this tribunal process offered no role for the actual affected people of Ecuador, but it did offer another opportunity for more evidence from Ecuador to see the light of day. In testimony before the tribunal, Guerra admitted that at this point he tried to get more money from Chevron. "At some point, I said, well, why don't you add some zeroes to that amount, and then later on I said, 'I think it could be 50,000.'" In an even bigger blow to Chevron, the government of Ecuador produced an expert forensic report of the computer of Judge Zambrano proving the judgment was written over the course of four months and no external devices, nor pasted-in excerpts from Guerra were inserted into the judgment. The US Second Circuit Court of Appeals did not consider Guerra's new testimony nor the forensic report, but the court in Toronto might. And THAT brings us to this past week in Canada. Chevron cannot afford to have Alberto Guerra get back on the stand. Their lawyers are desperate to avoid that – so much so that they made an outrageous and false claim in the last few moments of the hearing stating that they "held transcripts of both Guerra's RICO and Tribunal testimonies side-by-side and there was no daylight between them." That appears to be a pretty desperate lie when Guerra stated in the Tribunal when referring to the RICO testimony, "yes sir, I lied there." You could see a solar flare through that gaping hole. So now we wait, hopefully not too long, for Judge Hainey to decide. In the meantime, some Canadian journalists have already started to ask: "where is Alberto Guerra? Does anyone know?" Presumably he's still living somewhere in the US in the house Chevron bought for him and driving the car they gave him to the mall each week to spend some of the monthly stipend he still receives from his friends in San Ramon. We can't wait to see if he surfaces. 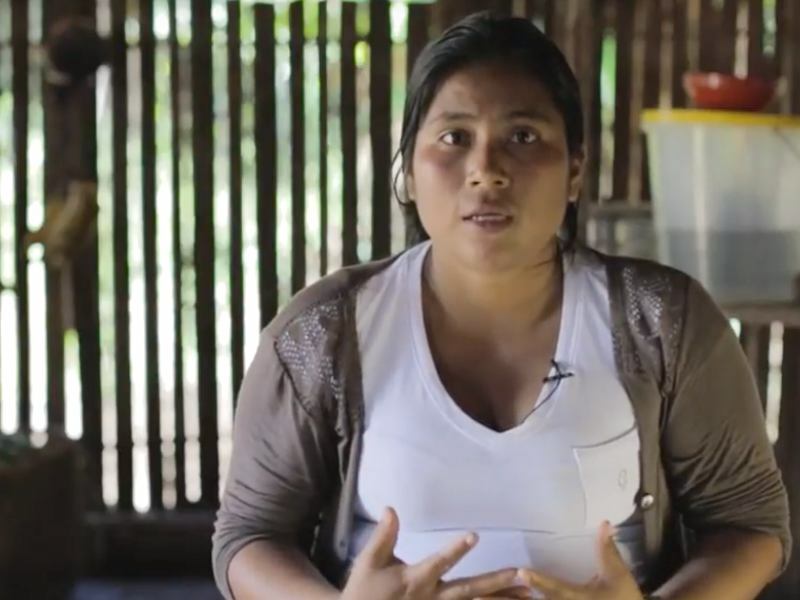 We certainly hope someone does track Guerra down, because the Ecuadorian communities living in the midst of Chevron's deadly oil waste shouldn't have to wait a day longer. As their lawyer Lenczner said in closing, "this case calls for assistance not barriers. These people have been waiting more than 20 years." Tell Chevron's New CEO to Finally Clean up Ecuador!